Using a crochet hook and hairpin lace loom, hairpin lace involves creating strips, or braids, that are then crocheted together. This step-by-step guide shows you the basic braid and all of its variations plus many different ways of edging and joining. 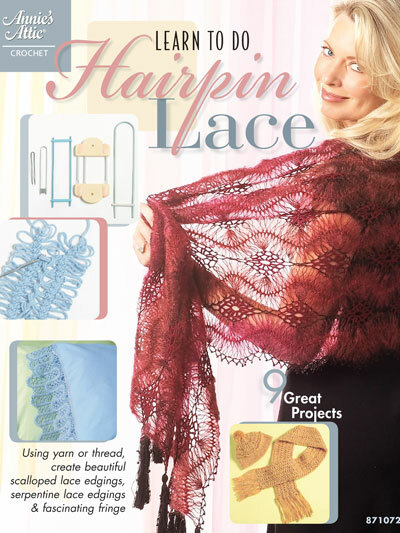 Use crochet thread to create airy, delicate lace for a beautiful shawl or lacy doily, or use worsted weight yarn to create sturdy items such as afghans and hats.